Sick leave, family leave, paid time off — where do you start with company leave policies? We have a primer on how to get started. Does your company have paid leave policies in your employee manual, or in writing? It may not be the most fun activity, but creating sound company leave policies will offer clarity to your employees, protect your company from legal pitfalls, and help solidify your business as a great place to work. That said, making company leave policies that comply with the law and that offer value to your employees can be a tricky balancing act. With that in mind, where do you start? In this guide, we outline some of the laws and issues you should consider when drafting leave policies. Here are the three major steps you’ll want to take when shaping your leave policies, whether that’s sick leave, paid time off, or parental leave. Psst...we’ve made a comprehensive guide on creating company leave policies, so that you don’t have to do all the heavy lifting. You can download it for free here. There are a wide range of leave policies employers must follow to stay compliant with the law. And under certain circumstances, some required leave laws may even overlap. For example, provisions of the Americans with Disabilities Act (ADA), the Family and Medical Leave Act (FMLA), and workers’ compensation laws can apply to the same situation. If employees need time off because of a medical or disability-related issue, they may have rights under several laws at the same time. Study up on federal, state, and local leave laws and check with an attorney to ensure you’ve gotten it right. Mismanagement of employee leave is a common cause of legal challenges that can be avoided by implementing proper policies and practices. Purchasing certain types of insurance can help cover the costs of employee leave. For example, almost all employers are required to pay into workers’ compensation. That, and other insurance like disability insurance, may provide benefits for employees when they are on a leave due to illness, injury, or even pregnancy and childbirth. When drafting your company leave policies, make sure they comply with applicable laws, incorporate any available insurance, and your company’s other offerings. Once you’ve established the legal baseline of what’s required, you may want to sweeten the deal with offerings like extra vacation days or better paid parental leave to recruit top talent. 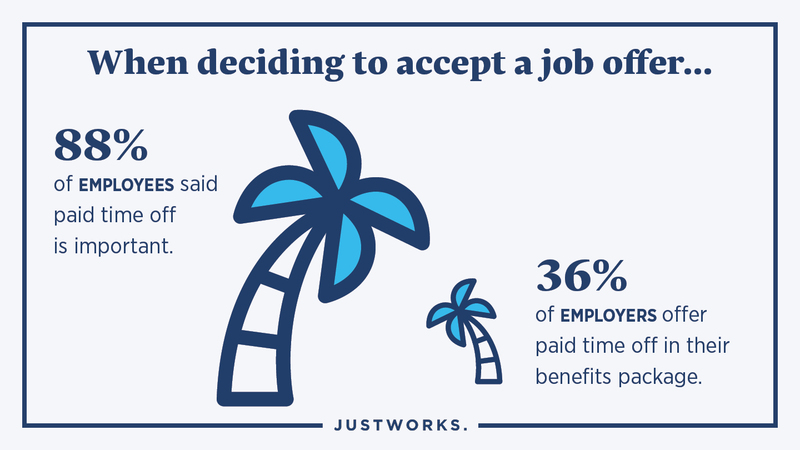 Discover best practices, benchmarks, and laws to consider when creating your parental leave policy in this video by Justworks.